The paper by Muszyńska et al. 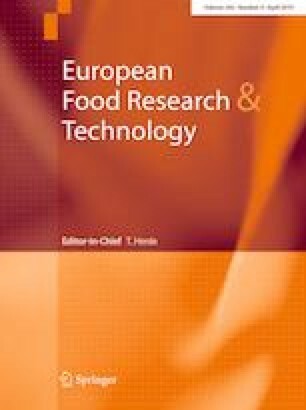 entitled “Study of biological activity of Tricholoma equestre fruiting bodies and their safety for human” published in the journal of European Food Research and Technology ( https://doi.org/10.1007/s00217-018-3134-0) presents the results of a study on the composition of T. equestre (syn. T. flavovirens, and syn. T. auratum) and in vitro anti-microbial and antioxidant activities of this mushroom. As reported, T. equestre can be a source of some essential minerals and has a favorable ratio of unsaturated-to-saturated fatty acids, while its extracts exhibit antioxidant effects (as shown in DPPH assay) at levels comparable to other mushroom species, but weak anti-microbial activities. Based on in vitro study using human lung carcinoma epithelial cells (A549 line), the authors suggest that ethanolic extract of T. equestre may exhibit pro-inflammatory activities. The authors conclude that consumption of this mushroom should be avoided. We raise some points contrary to this view, highlighting that existing toxicological evidence is insufficient to claim T. equestre as inedible or poisonous. The edibility of T. equestre has raised number of controversies. A small number of cases of rhabdomyolysis apparently developed following consumption of very large amounts of this mushroom. It was first reported in 2001 [2, 3, 4], and claimed to be supported by the results of in vivo experiments in rodents [2, 5, 6, 7]. This forced a number of countries (e.g., France, Spain, and Italy) to officially declare T. equestre as poisonous, releasing warnings to avoid its consumption. Prior to this, it had a long -history of consumption in many countries with no anecdotal or scientific evidence of toxic effects. It is still considered edible and widely consumed in regions such as Poland . As shown in a recent study, more than half of mushroom foragers in this country have consumed T. equestre at least once in their lifetime . This questionnaire survey and additional analysis of Polish registry of mushroom toxicity demonstrate that no rhabdomyolysis was reported in the last decade and that only mild gastrointestinal effects were noted, at a lower frequency than for other well-established edible wild mushrooms, such as Macrolepiota procera and Imleria badia [10, 11]. Importantly, the evidence from case reports of rhabdomyolysis lack critical information to indicate unambiguously that T. equestre was a causative factor of reported clinical effects. This has been recently extensively reviewed . One possible explanation suggests that rhabdomyolysis could be triggered by consumption of morphologically related but genetically distinctive mushroom species to T. equestre. A paper by Muszyńska et al. states that two varieties of T. equestre can be distinguished: one associated with Populus sp. (known as T. equestre var. populinum) and Betula sp. (known as T. equestre var. pallidifolia). However, the molecular evidence supports the view that the former belongs to T. frondosae clade and the latter is also a representative not belonging to the T. equestre species complex . Tricholoma equestre is in turn a mycorrhizal group associated particularly with coniferous habitat (mainly Pinus) . Rhabdomyolysis has also been reported after the consumption of other edible species including Agaricus bisporus or members of Boletus and Leccinum genera . The in vivo models indicated increases in CK levels (a sensitive marker of rhabdomyolysis) at doses of T. equestre which are virtually impossible in human. For instance, in studies of Nieminen et al. [6, 7], the effects were observed at doses which would be equivalent to daily consumption of 4 kg of fresh T. equestre eaten for five consecutive days by 60 kg subject. Lower but still high dosing (equivalent to 3 kg of mushrooms eaten every day) did not cause significant effects in studied animals [6, 7]. Similar effects in mice were observed after administration of similarly high doses of various other mushroom species with well-established edibility such as Lentinula edodes, Cantharellus cibarius, Albatrellus ovinus, Leccinium versipelle, Flammulina velutipes, and Imleria badia [5, 6, 14, 15]. This implies that the observed reaction may be unrelated to specific species and cannot be used as an isolated evidence to support a notion that T. equestre is a cause or rhabdomyolysis. Toxic compounds have not been identified so date in T. equestre, in contrary to other related species—T. terreum . Finally, the hypothesis that T. equestre causes rhabdomyolysis is contradicted by observations in studies employing volunteers consuming this mushroom [6, 9]. The foragers that consumed 300 g of molecularly identified, fried specimens of T. equestre showed no changes in hematological and biochemical markers, including aspartate and alanine aminotransferase, bilirubin, and creatine kinase (CK) . The study by Muszyńska et al. employed an in vitro model of human lung carcinoma epithelial A549 cells to investigate whether ethanol extracts of T. equestre may alter levels of cyclo-oxygenase-2 (COX-2), cytosolic prostaglandin E synthetase (cPGES), and nuclear factor (erythroid-derived 2)-like 2 (Nrf2). Cells were also activated with pro-inflammatory endotoxin lipopolysaccharide (LPS) as well as exposed to T. equestre extract after the LPS activation. As stated, T. equestre revealed pro-inflammatory and additive effects in the studied model. However, the results—as presented on Fig. 3—clearly demonstrated that extract of T. equestre had only a slight effect on increase of COX-2 but did decrease both cPGES and Nrf2 when compared to vehicle control. No additive effect could also be seen as addition of T. equestre extract to LPS-activated cells did not elevate the studied parameters compared to the effects induced solely by LPS. It could even be seen that Nrf2 level was slightly decreased which could potentially indicate that T. equestre extract may partially prevent LPS-caused enhancement of intracellular reactive oxygen species. These results do not support a view that T. equestre has an additive pro-inflammatory action, but rather imply that it has no promising pharmaceutical activity to attenuate effects induced by pro-inflammatory factors such as LPS. This cannot be used to conclude that T. equestre has human toxicity. Nor should it be compared to the effects observed in vivo in mice in which extremely high doses of mushrooms caused elevation of CK. One should also note that CK is a sensitive marker of myocyte injury  and cancer lung A549 cell line does not constitute a relevant model to study such effect. Moreover, the anti-inflammatory properties of mushrooms are mostly attributed to polysaccharides, and these require extraction with hot water or mixtures of specific enzymes . Ethanol extraction will in turn lead to extraction of phenolic compounds that possess antioxidant properties, and as expected exposure of A549 cells (including when cells were activated with LPS) led to decreased levels of Nrf2, one of key molecule responding to oxidative insults . Last but not least, ethanolic extracts of raw T. equestre is not how this mushroom is consumed, so one should not extrapolate the results to the human situation. In summary, there is insufficient evidence that correctly identified T. equestre is a cause of rhabdomyolysis or any other specific toxic event. As long as the results presented by Muszyńska et al. provide an interesting perspective on nutritional value of this species, the in vitro experiments in A549 cells do not provide evidence that T. equestre, in the manner consumed by humans, is significantly pro-inflammatory or toxic. We also recommend that T. equestre should be identified with molecular methods in all future investigations. This paper does not contain any studies with human or animal subjects.